2014/15 Winner of Choc Lit & Whole Story Audiobooks Search for a Star competition. I’ve been reading out of my genre recently, don’t know why really but there’s so many good books out there and I needed a change so in downloading As Weekends Go was like wrapping myself up in a woolly throw with a mug of hot chocolate. It has all the elements of a good romance. A quirky likeable female lead with supportive BF. Nasty controlling husband Greg is the man we love to hate and then finally handsome hero male lead in the guise of hunky out of type footballer Alex. All elements converge and sparks start to fly when accident prone Rebecca trips over Alex at some up-market swanky resort in York. There’s no real plot surprises here, it’s all very upfront and gives the reader exactly what it says on the tin – an enjoyable light read that you’ll fly through with a smile on your face. The arrival of a letter delayed by 33 years sparks off a quest that leads both on a nostalgic journey back to the 1980s and right to the heart of France today. Middle-aged doctor Alain Massoulier has received a life-changing letter thirty-three years too late. Lost in the Paris postal system for decades, the letter from Polydor, dated 1983, offers a recording contract to The Holograms, in which Alain played lead guitar. Overcome by nostalgia, Alain is tempted to track down the members of the group. But in a world where everything and everyone has changed…where could his quest possibly take him? This is the third novel I’ve read by French writer Antoine Laurain and it certainly didn’t disappoint. In fact I was so keen to get my mitts on it that I contacted the UK publisher to find out the NetGalley release date. Like with the other two books (The President’s Hat and The Red Notebook) French Rhapsody deals with loss, in this case the loss of a letter that arrives 33 years too late to make any difference, or so the main player Doctor Alain Massoulier thinks. In tracking down the lives and loves of his former band members he gets more than he bargains for and in a funny twist of fate changes the course of more than one timeline mentioned. The book is told from a variety of view points and some of them with startle you. Irina, the Russian er model/call girl for one – but believe me his inclusion of minor voices is what ties this all together in one extremely fancy package. I don’t know where he gets his ideas from, just as I love how his writing is presented. The writing is strong and very current with frequent references to both French and world wide politics. Laurain has a talent for delving into the absurd and the comedic elements are laugh out loud funny, so don’t be tempted to read in public places! 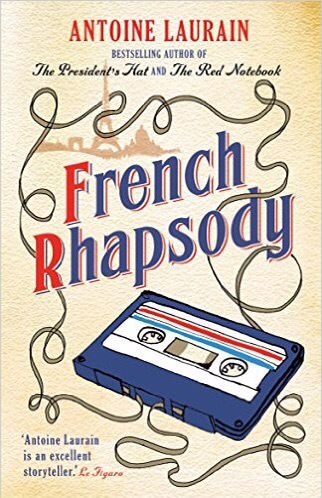 If you are a Francophile this is a fun light read with plenty of humour, pathos and plot. If, like me you spend a great deal of time in France and understand some of the French nuances of both culture and past times this a must read. There is a fair bit of political reference but it must be remembered that it is a work of translation. Antoine, thanks for the great read – when’s the next one out? Liam O’Connor wants a wife. Problem is, the type of woman he’s looking for doesn’t exist. 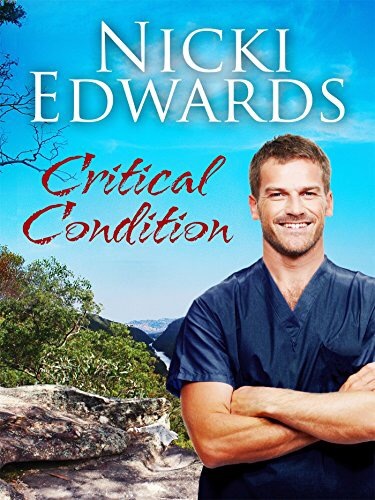 Liam O’Connor, Aussie Irish paramedic is broody but it’s not until he meets Poppy McDonald on the eve of her estranged father’s funeral that he finally works out just why he’s never managed to make it down the aisle. Poppy has more baggage than the average airport terminal and she’s running away from an unhappy romance but to where? There’s nowhere for her to go with her dead father and mad mother. When these two souls collide fireworks explode in a spectacular fashion. As a reader and writer of this genre I’m probably something of an expert – albeit self-pronounced but experienced all the same. This has everything someone that likes medical romances will love. Just enough medical bits to be exciting without too much blood and guts. Just enough romantic bits to move the story along without pausing too long on the bedroom scenes. Just enough subsidiary characters to provide body, soul and depth the story line. In fact it’s probably more a hybred novel come to think of it, more a family drama/ medical romance and all the better for it. 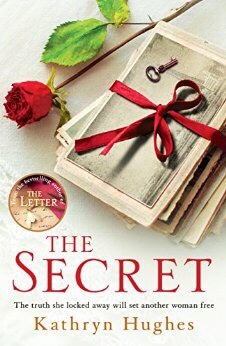 The Letter was a run away success for this writer so when I saw The Secret in NetGalley I was intrigued to find out whether it was a fluke or whether Ms Hughes could maintain the momentum forged in her first book. Her roller coast success with a self published debut under Matador to a two book deal with Headline is indeed something all Indie writers dream of, whether they’re prepared to admit to it or not. Like The Letter The Secret is set across two timelines – the present and forty years earlier. It tells the story of a recently bereaved daughter and her desperate plight to find a kidney for her ill child. In this there are elements of both My Sister’s Keeper and The Midwive’s Comfession but that’s where any similarity ends. This is a very clever work carefully entwining lives that are then unraveled in a spectacular fashion that will defy any guessing. The way Ms Hughes has researched and reproduced 1970 UK to the reader is formidable sparking long distant and near forgotten memories from characters that explode of the screen like an episode of early Coronation Street with the bar tart and hard working cleaner circa Bet Lynch and Hilda Ogden vying for pole positions. A real gem of a read well deserving the weighty heights it is bound to reach. East Yorkshire: Single mum Alice Lake finds a man on the beach outside her house. He has no name, no jacket, no idea what he is doing there. Against her better judgement she invites him in to her home. Surrey: Twenty-one-year-old Lily Monrose has only been married for three weeks. When her new husband fails to come home from work one night she is left stranded in a new country where she knows no one. Then the police tell her that her husband never existed. I have to admit to being a huge Lisa Jewell fan, Vince and Joy being right up there as a favourite read. When I saw her next one on NetGalley I was overjoyed to discover I’d been approved to review. This is a beautiful evocative read which brought back so many happy memories of my childhood being as its set on and around two beach houses. Like Alice I to have spent many an hour just staring out the window on to the beach. I too have dreamed of the lives of the people passing by just a stones throw way. On the day the story begins Alice spies a stranger through her looking glass of a window, a stranger in a fugue state. Memory loss has been done to death in fiction and, initially I thought that the book would be a rehash of Random Harvest, but I was delighted that after the early comparison Ms Jewell’s pen weaved a fantastic story of love, loss and final redemption. Alice isn’t probably the kind of character one likes to like. A single woman with three children all by different fathers and under the watchful eye of the school authorities but nevertheless one grows to like her despite her obvious failings and weaknesses. She takes in the stranger, despite knowing that it will blacken her name further. The story is sublime. So well written that it is a pure delight to let the words flow from her pen and mingle with the images she created in my mind. I could almost feel the seaspray and raindrops washing down over the pages as I raced through this story at top speed. I believe I finished it at 4am but don’t tell anyone!